Anna and Leo were frequent visitors to Exuma. They told stories of visiting and spending time travelling the island while indulging in the joys it offers. When Leo proposed to Anna, they could think of no better place to tie the knot than Exuma. They chose to share the beauty of the island with near 100 family members and friends. Grand Isle Resort and Spa was chosen as their host hotel. 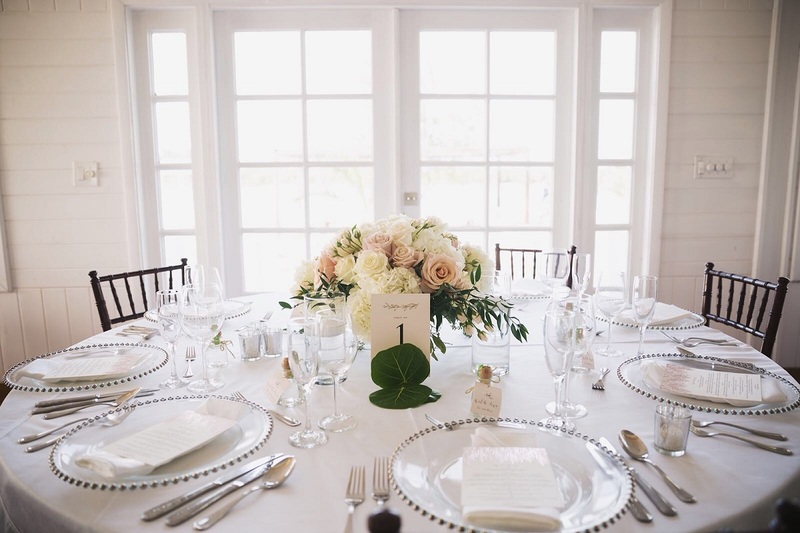 Perched on the stunningly beautiful Emerald Bay, this resort was the ideal venue for a rehearsal event and ceremony. 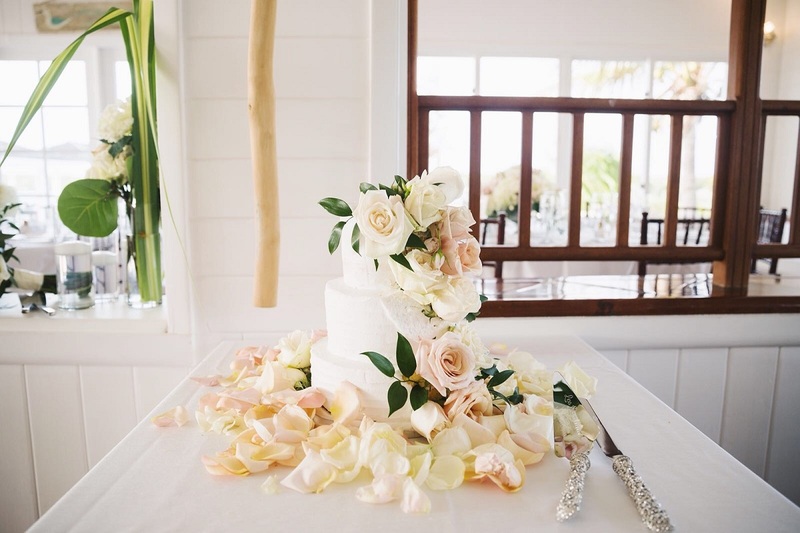 Anna and Leo wanted a private, secluded Bahamas reception venue. So, we organized the beautiful Turquoise Cay Boutique Hotel for the event. This is a Destination wedding Exuma Bahamas gem. 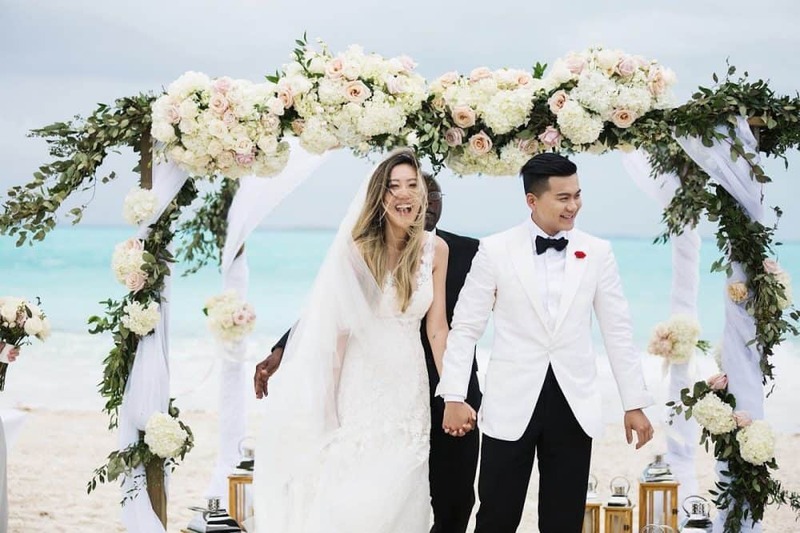 On Sunday, May 5, 2018, with threats of rain, the couple tied the knot in an early afternoon beach ceremony. Following the ceremony, guests enjoyed drinks and passed hors-d’oeuvres before heading off to Turquoise Cay. And, dinner, dancing and a night-time swim followed. The stunning crystal clear turquoise waters served as the backdrop for Anna and Leo’s destination wedding Exuma Bahamas. Anna wore a lovely Pronovias dress. Leo’s Tom Ford suit with a single red Carnation boutonniere was smart. Very detailed, Anna spent much time on her wedding invitation suite and day of stationery. There was much more though. 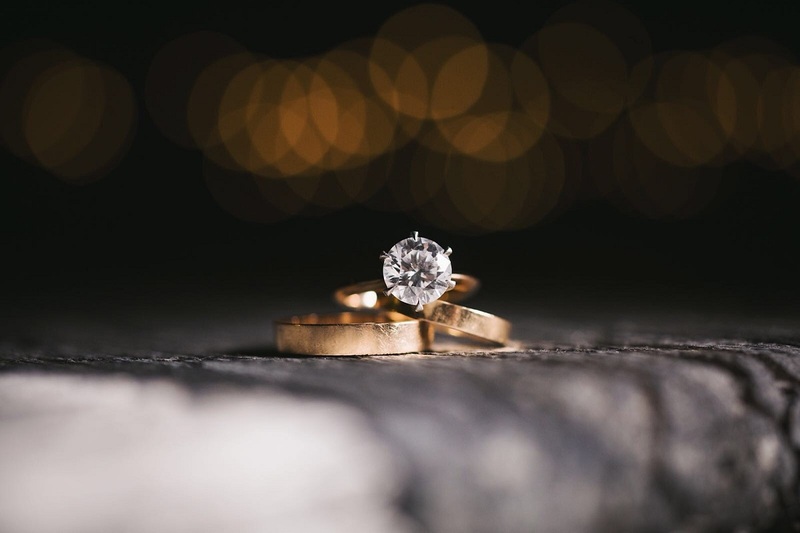 The couple accommodated their guests at Grand Isle Resort and Spa for two nights and feted them for the duration. What’s more … guests were also treated to excursions like the Swimming Pigs and Chat ‘n Chill. 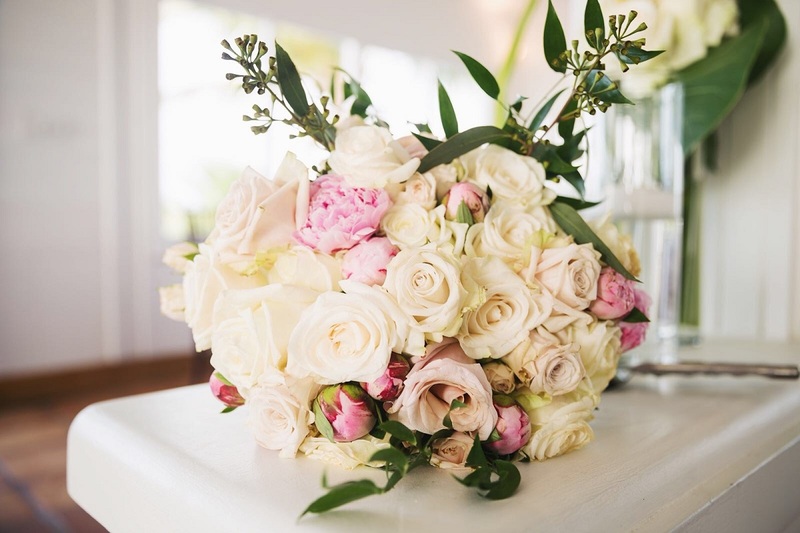 Gorgeous blush roses and garden roses and hydrangea created stunning tablescapes at Turquoise Cay. 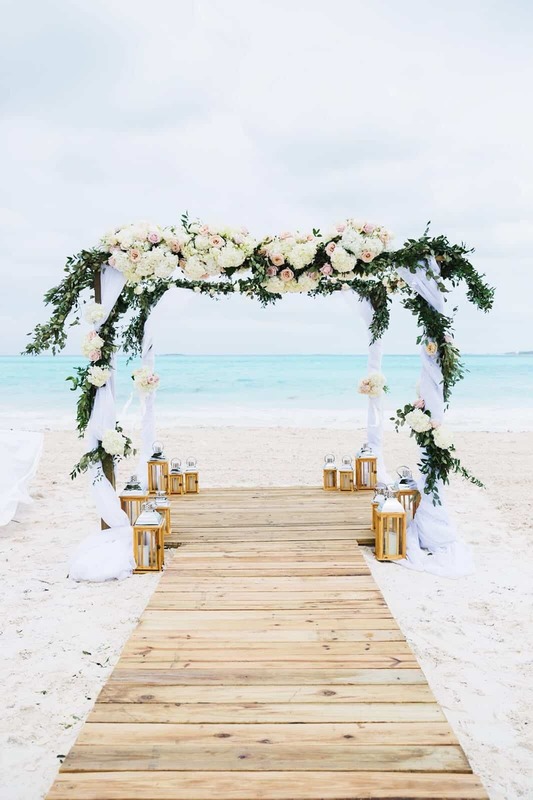 Chic Bahamas Weddings can help you plan your Exuma wedding. Beachfront private villas and resorts are among Bahamas wedding venues we service. 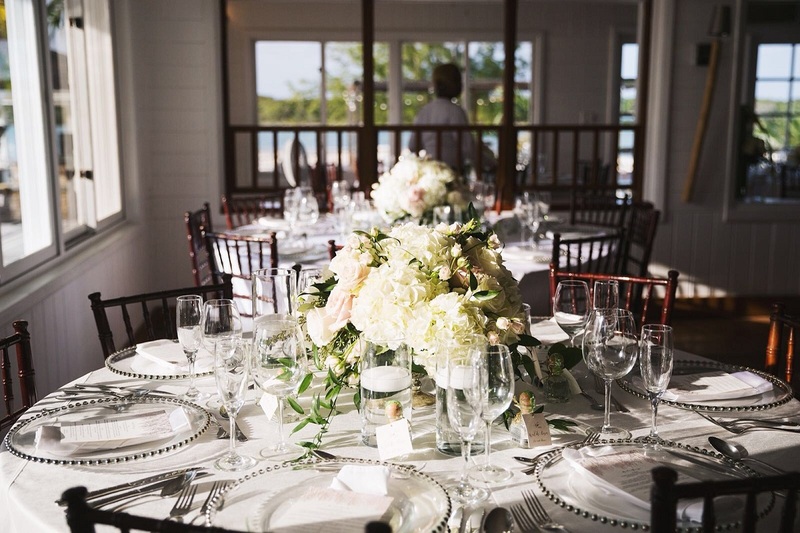 Contact our Exuma wedding planner today to begin planning your magical day! We’d love to help you!